Minimalism, it doesn't come easy, but giving up the luxury of space can have vast advantages. Tiny homes have been gaining popularity and for a good reason - it's a clever idea. The basic premise is, you take a small floor plan and utilise every inch through a lot of nifty design work. These small houses are the 'tardis' of modern living and prove that downsizing doesn't have to mean downgrading. With modern cities constantly becoming more expensive and congested, tiny homes have become something of a phenomenon, with many seeing the benefits of these tidy little residences. A tiny house also means a tiny price, tiny bills, as well as a tiny ecological footprint. There are a lot of ways that you can go about going small, from professionally manufactured homes to using an old trailer for a DIY job that you can park anywhere. 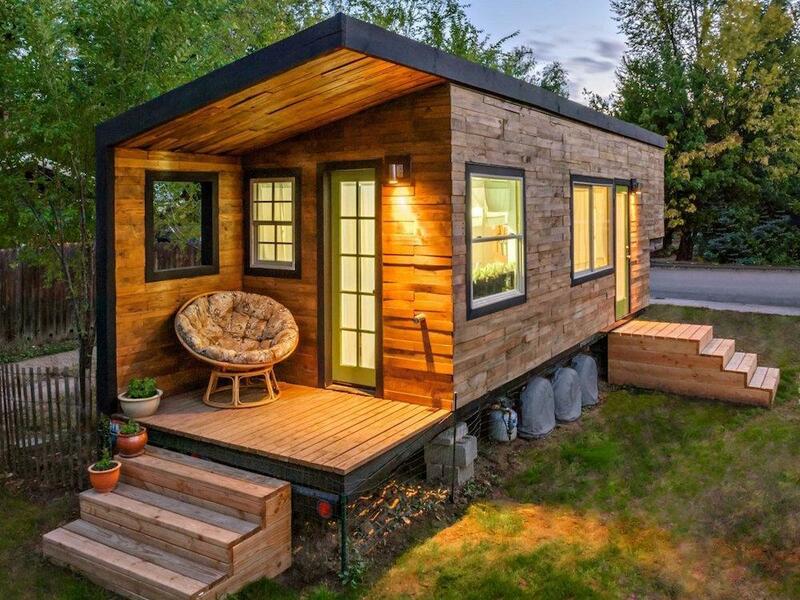 Different lifestyles require different things and everyone has their own definition of minimalism, so let's take a look at eight amazing tiny homes that will have you convinced that less really is more! Tiny homes definitely attract the adventurous types, Mississipi couple Breck and Kelsey wanted to take things a step further. 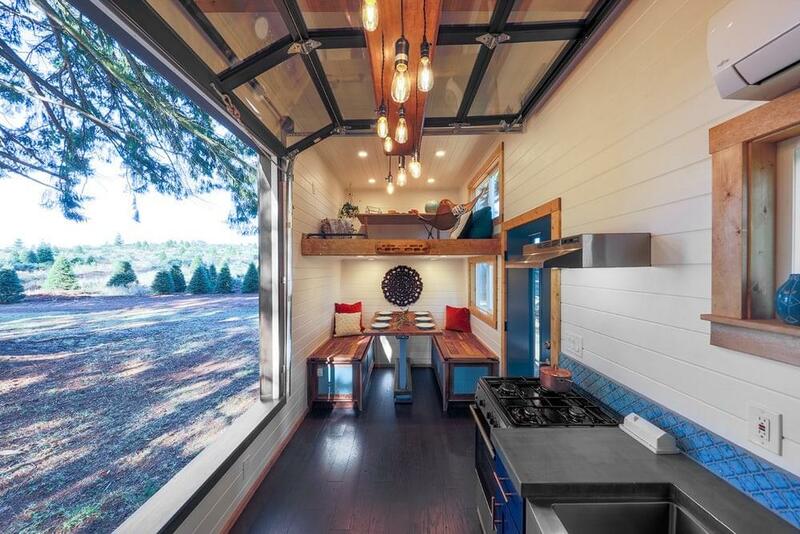 This Tiny Adventure home was built into a trailer that can be towed around the great outdoors at the owner's convenience. 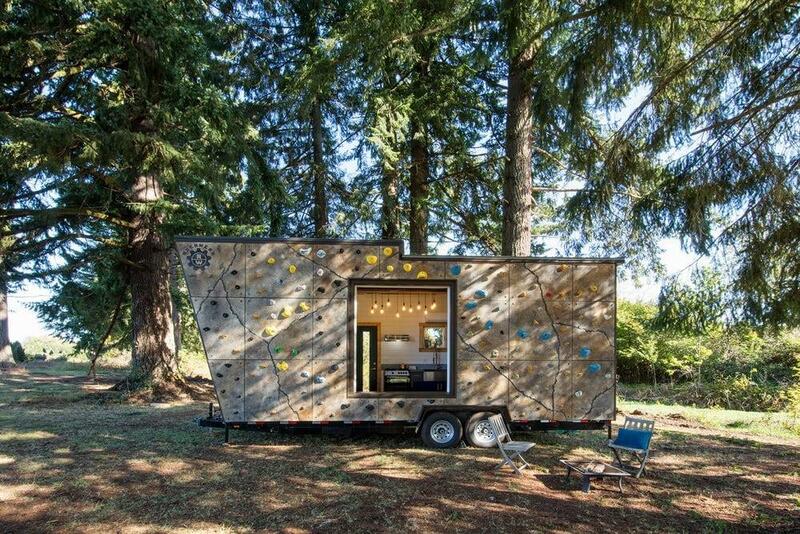 Truly one for the adventure sports enthusiast, it features a rock climbing wall on its exterior. 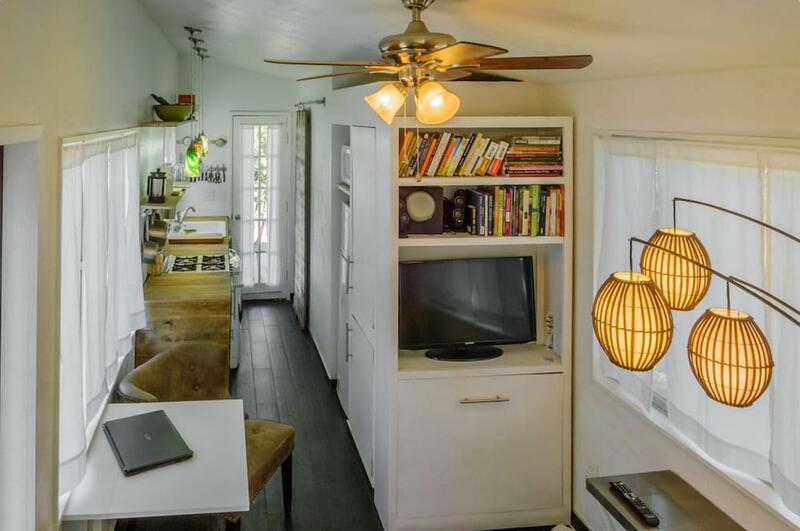 It also includes a full sized loft bed that sits above a dining area, a kitchen, bathroom and even a loft office on the other end of the trailer. 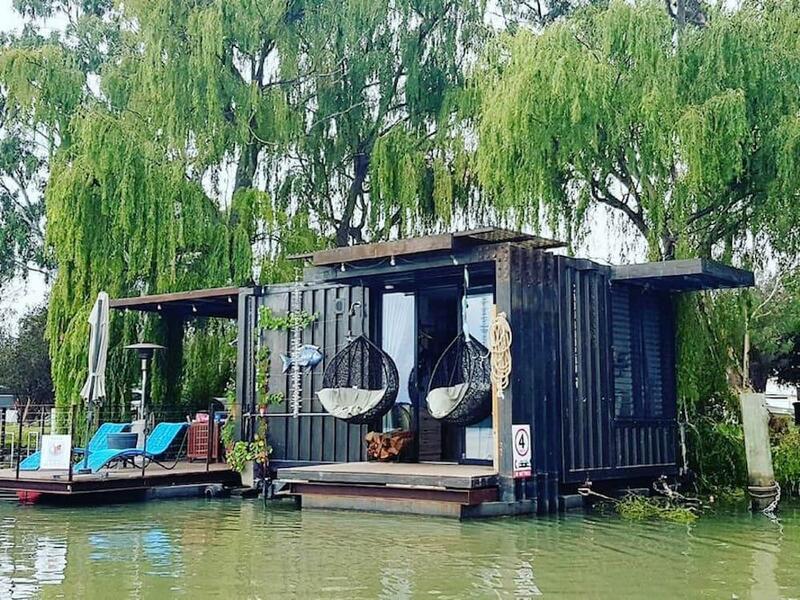 It's the perfect tiny home for a young adventurous couple and even a great alternative to a motorhome for any retirees looking to sell the family home and travel around Australia. Public transport isn't everyone's thing, but for Otago resident Mandy, it's a way of life. Eight years ago, Mandy purchased a property that came with two dilapidated 1930s railway carriages. It wasn't pretty, the carriages were home to mould, spiders and dead birds, however, Mandy made it her life's work to renovate and breathe new life into the relic and make it her new home. Eight years on, the carriages are unrecognisable and are fully self-contained. With a solar power system and a water tank, the home can operate off the grid. 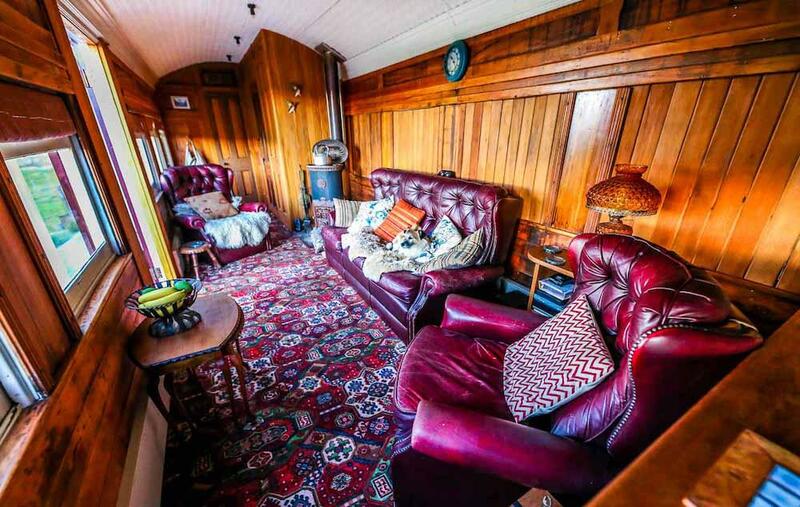 The main carriage is Mandy's quarters, that offers a kitchen, bathroom and living area, while the second carraige is referred to as 'the library' which is a luxurious lounge and guest quarters. Wondering what unique homes are on our own shores? 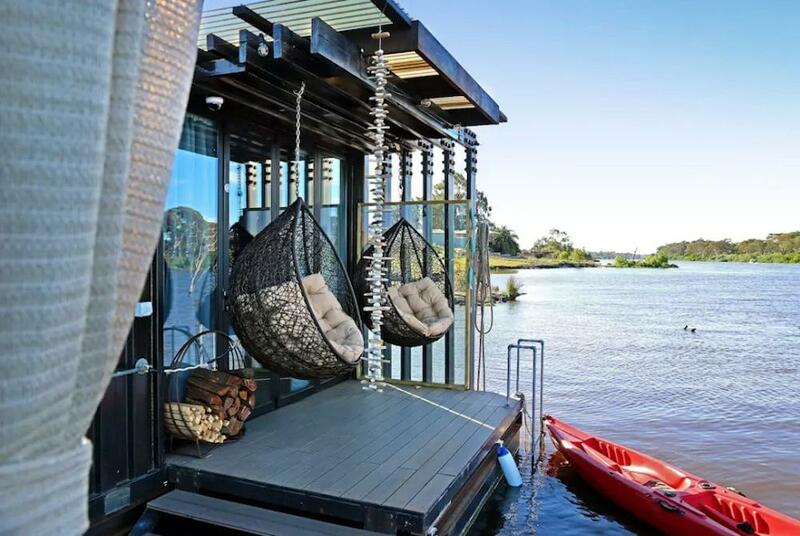 Check out 17 of the most amazing and unique homes around Australia. Chris and Melissa were both engaged in tech-focused careers, Chris worked in marketing for Apple and Melissa was a 3D graphics artist. The couple, however, found that their lives were heavily focused on tech and needed a bit of balance. And what better way to achieve equilibrium than to trade it all in for a tiny home. Using their combined creative know-how, they had no trouble designing the blueprints and creating a tiny architectural gem, and after a bit of hard work and some financial strain, they achieved their goal. 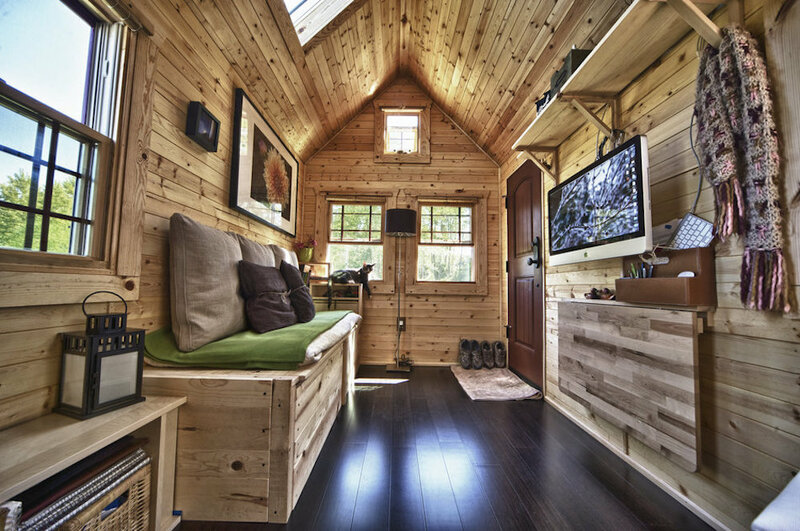 This tiny home is built from pine and has a totally open plan design with a loft bed above the kitchen. Chris and Melissa even found that their substantially lower cost of living allowed them to cover the costs in just three years. Okay, so this one might seem a little left of field, but this little home is different, as designer and proud owner Paul Elkin has thought of just about everything to make this trailer a fully sustainable home. 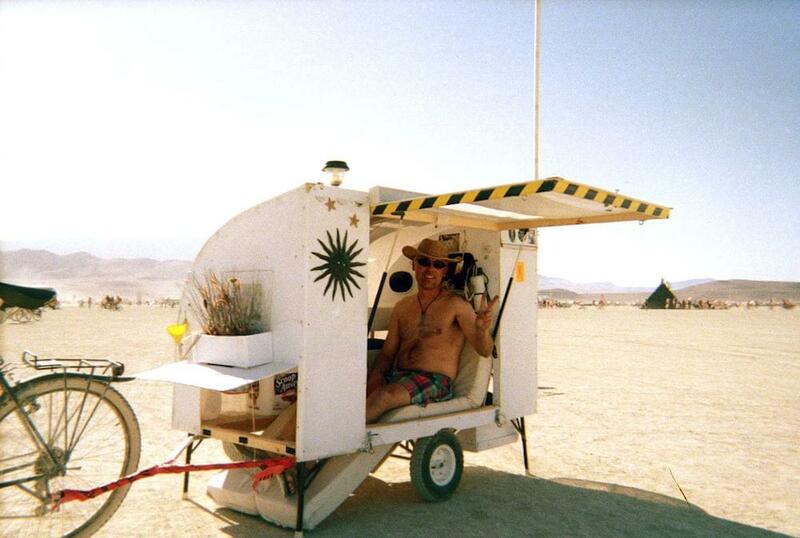 The trailer is towed by a bicycle (perfect for getting around in the desert) and features a reclining bed with a 'bubble' that allows Elkin to gaze upon the milky way at night. Slide out solar panels and a wind turbine provide the electricity for fans, heating, lighting and a small oven. The cabin also has space for storage and a small stovetop to cook breakfast for one. Tiny homes might seem like a modern phenomenon, but this 16th-century home proves that downsizing is timeless. 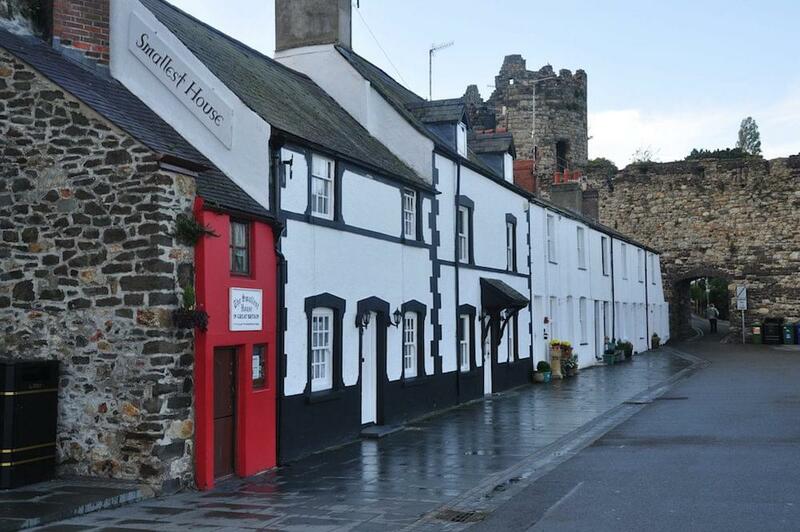 Built a stone's throw from Conway Castle in Wales, it is officially known as 'The Smallest House in Great Britain,' and is a popular tourist attraction. Although currently unoccupied, the previous owner was a fisherman named Robert Jones who measured 6 foot 3! 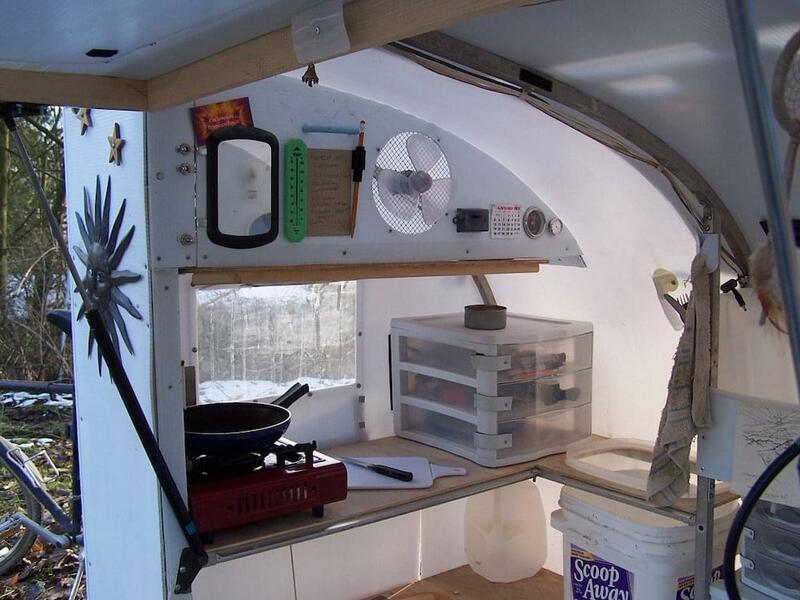 The home has room enough for a stovetop, a fireplace and a loft bed above. 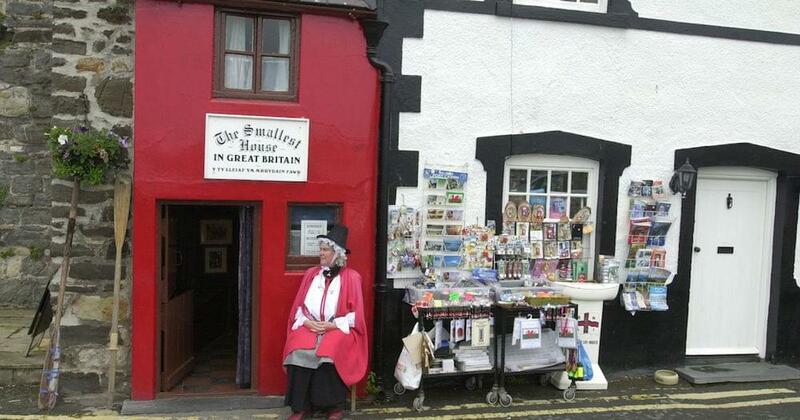 The home's only current resident is tour guide Anne Fletcher who wears a traditional Welsh dress and offers a glimpse of this unique home's history most days of the week. Okay, so everyone's seen a hippie van, but this one's a bit special. 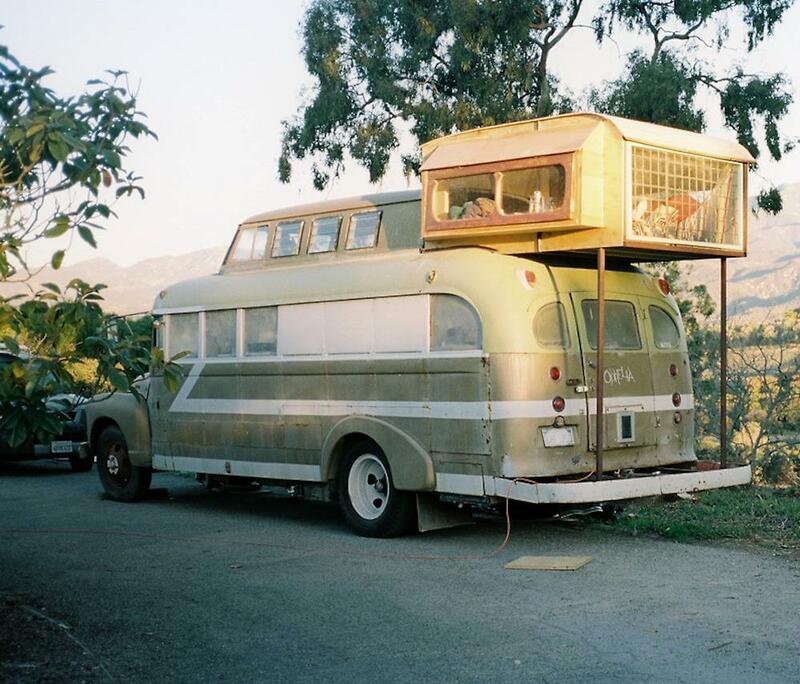 Ryan Lovelace has taken a 1948 Chevrolet bus and converted it into a full-time home, the project was well documented on Ryan's Tumblr blog. The 'Cosmic Collider' as it has been dubbed, is actually a mish-mash of different parts, with a rooftop extension built from half of a Volkswagen bus and a bedroom loft that sits towards the bus' rear, it is nothing short of inspiring. 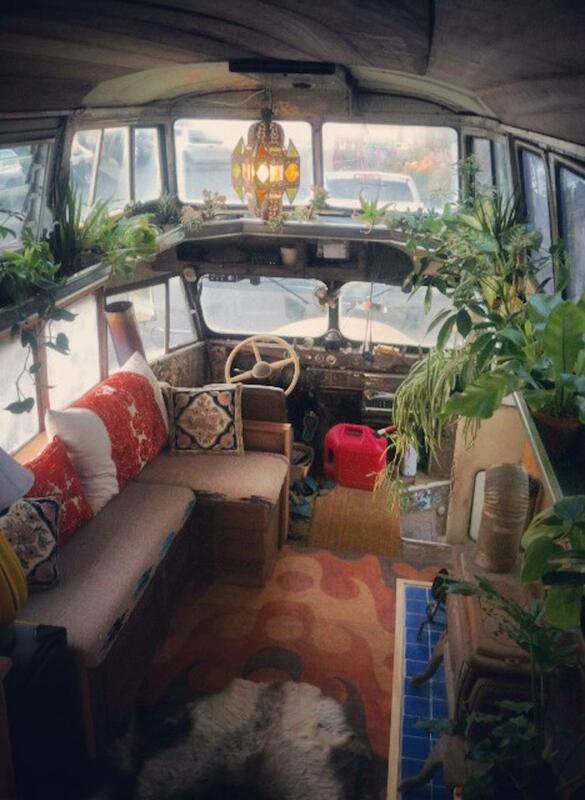 The bus has a wood stove that was sourced during a road trip to Texas, and the interior of the bus is laced with decorative hanging gardens. It's the kind of place that warrants inclusion on any 'cool homes around the world' list. It's not surprising that this home is the residence of Idaho architect Macy Miller, who made the decision to downsize after dealing with a complex and drawn out foreclosure. 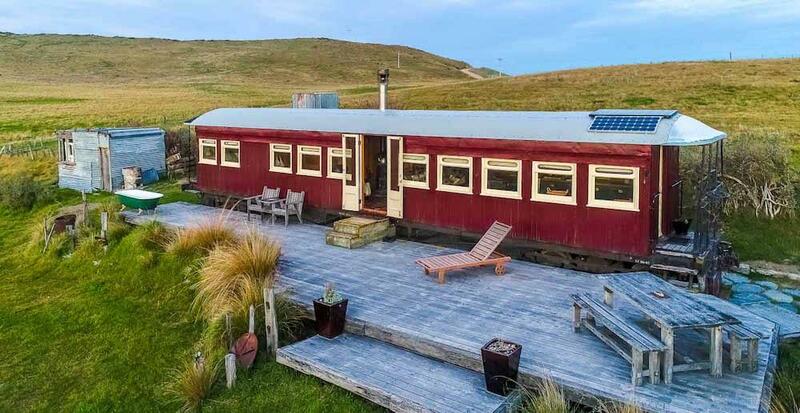 The home she designed and constructed is nothing short of amazing, however, it was constructed on a tight budget, just under $16,000AUD, using the back of a flatbed trailer. The property boasts a full kitchen with counters, a handy two-in-one washer and dryer, a king-sized loft bed and a bathroom tucked away behind a sliding panel in the kitchen. The most expensive part of the project? The composting toilet which cost almost $3000AUD! Miller currently lives in the tiny home with her partner and dog, and owns the home outright, only paying rent for the land that it sits on. So we've had a bike trailer, train carriage and a bike conversion... what's missing? Ah a houseboat! 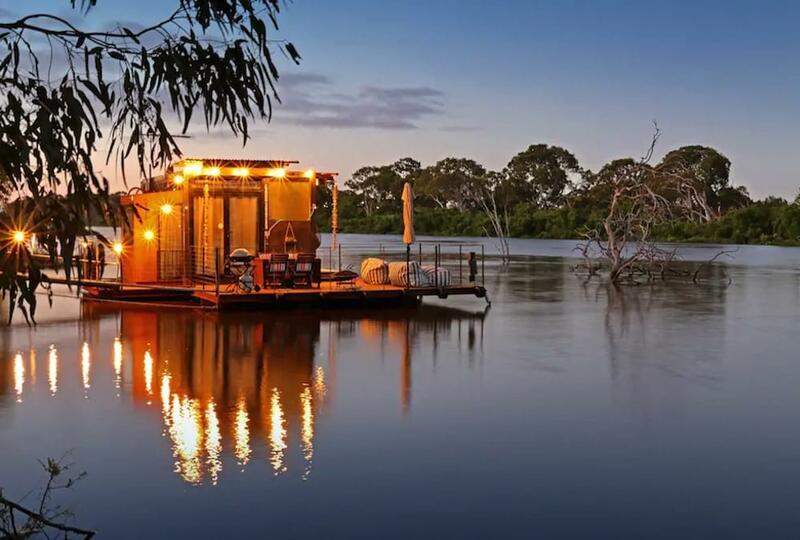 The owner of this Airbnb rental describes this project as a "Modern Concept Floating Eco Pod," and well whatever it is, it's a slick getaway for two right on Australia's own beautiful Murray River. The Cube has one bedroom with a queen bed, en-suite and shower. There's a kitchenette and a lounge that opens up to a generous deck and a BBQ space with a view that is post-card perfect wherever you park it. At $250 a night, it's not cheap, considering you'll probably want to stay all summer long. 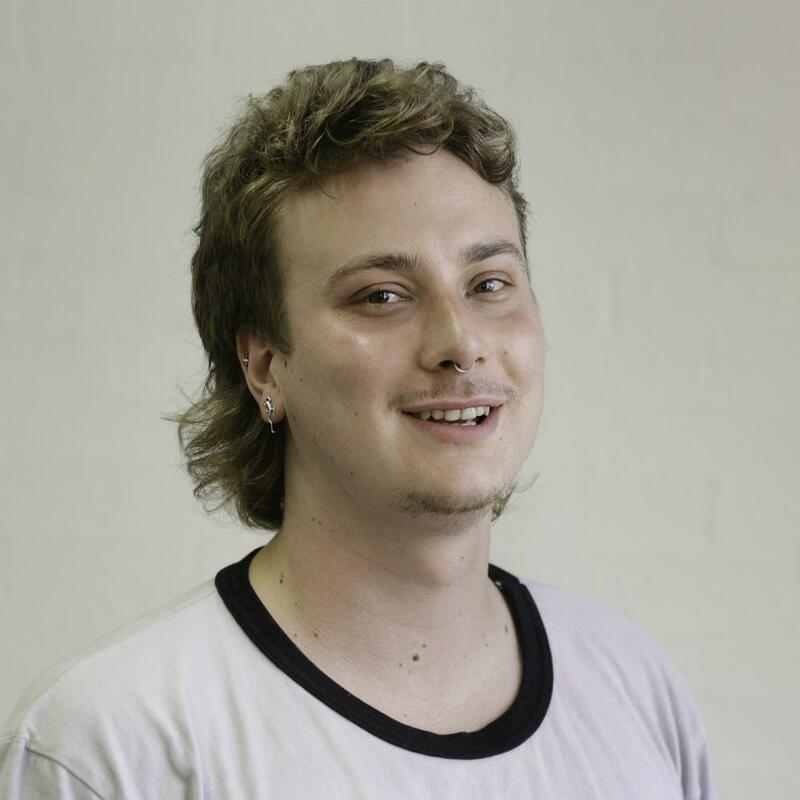 The other alternative is you could look into purchasing a holiday home or constructing your very own tiny home.